TAOISEACH Enda Kenny has admitted that he did not expressly raise the issue of women's rights during a trade mission to Saudi Arabia. Mr Kenny said he raised the issue of "human rights" and that rights pertaining specifically to women have been raised by Ireland have been raised through other forums. At a press conference in Montreal on Thursday, the Fine Gael leader appeared to suggest that he personally raised the issue of women's rights when he visited Saudi Arabia on a trade mission in 2014. "We've raised the question of women's rights with the Saudi Arabians and I was there myself on a trade mission a number of years ago," Mr Kenny said. However, the Dáil record shows that Mr Kenny told the opposition that the issue of women's rights was not expressly raised. 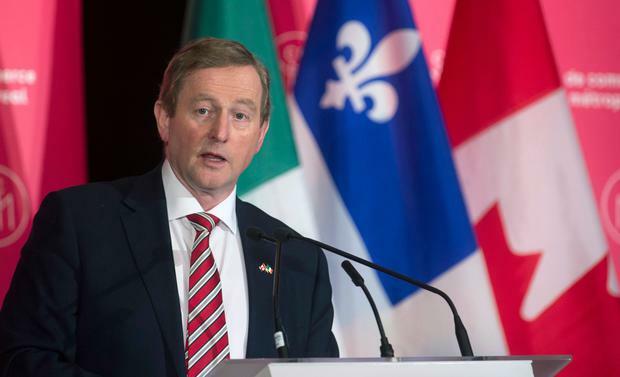 The Fine Gael leader moved to address the confusion at a media briefing in Toronto today. "I went to Saudi Arabia on a trade and investment mission in 2014 and as part of that, while on that mission, I raised the issue of human rights with the saudi arabian authoritises which obviously includes womens rights," he said. Mr Kenny said Foreign Affairs Minister Charlie Flanagan has raised the issue of women's rights and that the new ambassador to the United Nations, Geraldine Byrne will also raise it. "What I raised with the Saudi Arabian authorities as part of the trade and investment issue was the question of human rights and women’s rights issues as a specific matter have been followed through by Minister Flanagan at foreign affairs council meetings."